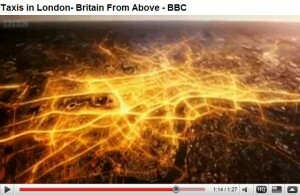 I noted last month that the BBC TV programme Click used a video sequence taken out of the documentary Britain from Above. The sequence, as explained in Britain from Above, was made for the documentary to illustrate the taxi traffic in London over 24 hours. While being used in Click, however, it implied another kind of traffic, internet traffic. I wrote to Click through their online form but got no reply. I was a little suprised to see it appeared again in last week’s Click, this time when commenting on Lord Carter’s Digital Britain report. It looks neat and convincing for that purpse, but I don’t think it’s right for Click to do this. 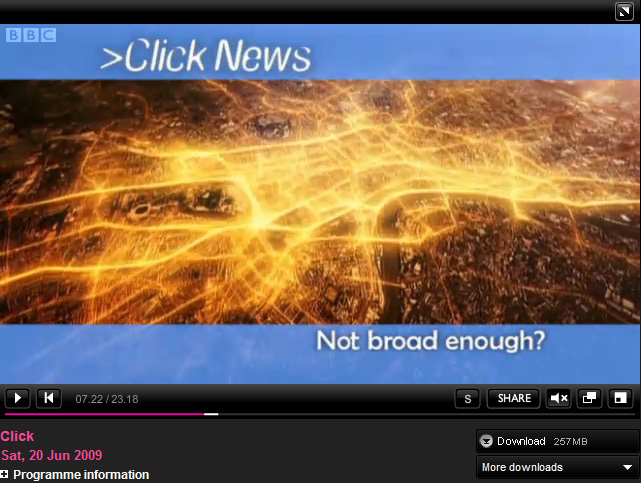 I could be wrong here, but isn’t the sequence used in BBC’s latest episode of Click, to illustrate the internet traffice in London, the same sequence used in Andrew Marr’s Britain from Above, to illustrate the taxis traffic in London? I love the brilliant Britain from Above series and was very much impressed by the taxis traffice sequence which used the GPS information of 380 London taxis over a single day to generate the animation. I’m also a fan of Click. 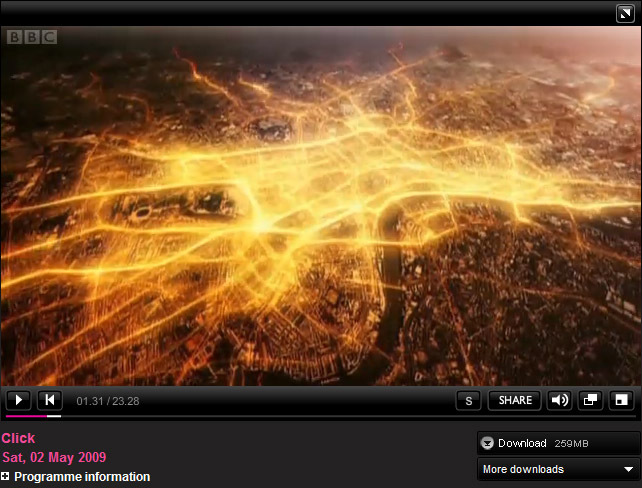 It’s a bit odd to see the same sequence is used to show the traffic of two different kind though.